I have been doing SOOOOOOO good at not requesting books lately. I'm trying to get caught up so I can read some of the books I've bought and not read yet. I requested Defiance a while back, and finally got approved! What did you get this week??? I'm so so jealous! Defiance is one of my most anticipated of the year! Enjoy!! I just love the cover of Defiance! I also have it in this weeks mailbox! Enjoy! I really enjoyed Defiance! I can't wait to see what you think. 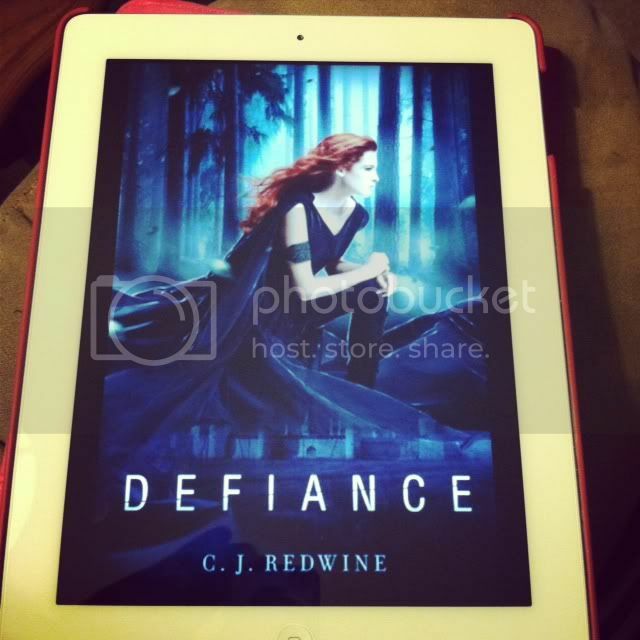 *drool* I don't know what it is about this cover--and blurb--but DEFIANCE really looks good! I hope it lives up to its promise. Can't wait to hear your thoughts. So glad you had it, lol I try to stop requesting but it's finally really impossible. happy reading! Yay for Defiance! I requested it too but I either got declined or didn't hear back. I hope you enjoy it and I can't wait for your review! I got that one as well, I plan on starting it this week because I don't think I will be able to hold off :P Hope you enjoy it! I finished Defiance not to long ago and I loved it! It's such an amazing read. I hope that you love it as much as I did! Defiance looks great! Enjoy it!